Microsoft Ghana partners with the Data Protection Commission of Ghana for this years World privacy day. At the event Mr. Derek Appiah Ghana Country Manager, Microsoft mentioned NGO’s and Non Profits can benefit from the Microsoft’s Cloud for public good initiative. This years Worlds’ Privacy and Data Protection day event in Ghana was on Ghana’s Digital Transformation journey. Mr. Appiah speaking during the Keynote said Digital transformation enables you to engage your customers, transform your products, empower your employees and optimize your operation. Microsoft is committed to Ghana’s digital transformation journey through the development of cloud technology. Microsoft is working in partnership with relevant public and private stakeholders to create a framework for cloud computing which will be essential for businesses, organizations, governments and citizens. Digital transformation enables you to engage your customers, transform your products, empower your employees and optimize your operation. 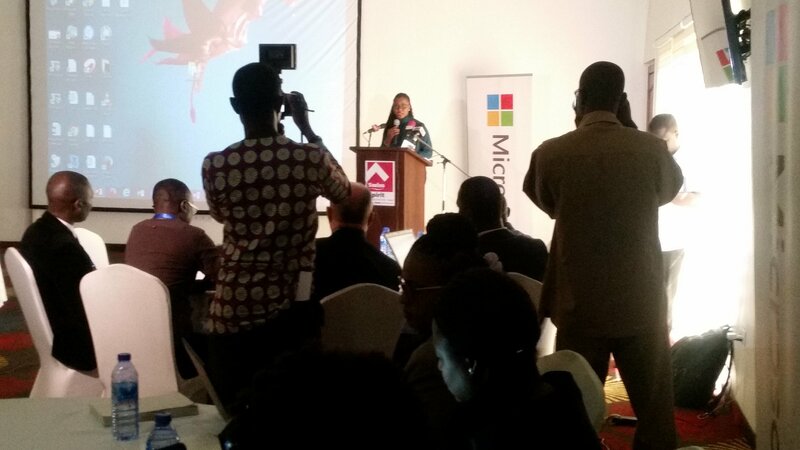 Microsoft is committed to creating a cloud for good structure that enables the people of Ghana to achieve more. We will work with the public and private sectors to continue designing a roadmap that is dedicated to preserving values that are timeless, universal but most importantly help the people feel safe, have confidence that the rights and protections that have long preserved the privacy of the personal information they commit to paper, remains in place as their information moves to the cloud. Cloud computing is more advantageous as it’s more scalable and efficient. Business need to only have access to the internet to access cloud services. With cloud computing, small businesses get the advantages of big businesses without incurring the costs of a big business as they pay for what they use. It means that you pay as you use. This brings down the cost of doing business, which means that you can actually give value to more people. Talking about the Public Cloud for Public Good initiative, he said qualifying NGO’s and Non profits will receive renewable Microsoft Azure credits. Microsoft under it’s philanthropies division is giving out one billion dollars in cloud computing resources to 70,000 non-profits and NGOs worldwide.